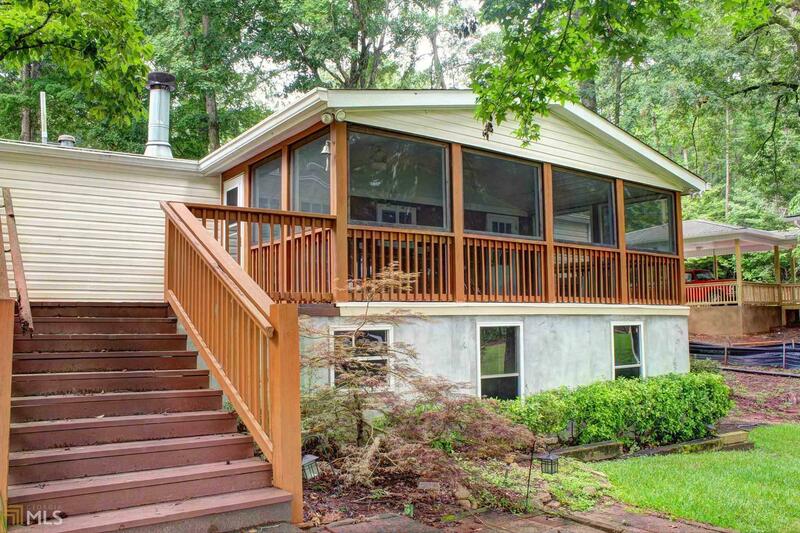 Great 3 bedroom, 2 bath lake house, handicap accessible. Basement for storage. Everything you need on Lake Sinclair- covered boat slip with doub&apos;e lift, jet ski lift, large dock with railings, small boathouse. 89&apos; lakefront, deep water 8&apos; to 10&apos;, sandy beach. Separate shop. Master bath handicap accessible. Ramps front and back. You&apos;ll love it here! Directions: From Us Hwy 441, Turn On Park Rd, Right On Scuffleboro Rd, Left On Crooked Creek Rd, Then Left On Crooked Creek Bay Rd. Home Is On The Right.